There are several versions of the "UV-3R" sold by Baofeng (Fujian Nan’an Baofeng Electronics Co. Ltd). These versions are the original UV-3R, the UV-100, UV-100 MKII, UV-200, UV-200 MKII, UV-3R MKII, UV-3R+, etc, This then led to the UV-5R, etc, etc, etc. Baofeng now use the brand name Pofung outside of China (crazy!). Vero (Vero Global Communication Co.,Ltd) also sell a version of the UV-3R, as well as the UV-X4, UV-X5 (same as TH-UV3R) and the UV-E5. KYD (China New Century (Quanzhou) Communication Electronics Co.,Ltd) also sell a version of the UV-100, UV-200, UV-300, UV-500, UV-600 and UV-5H as well as a range of waterproof handhelds. TYT (TYT Electronics Co.,Ltd) also sell the TH-UV3R (same as UV-X5) and TH-F8 (same as UV-5R), plus a range of other radios. There are also some "badged" versions of the above available. 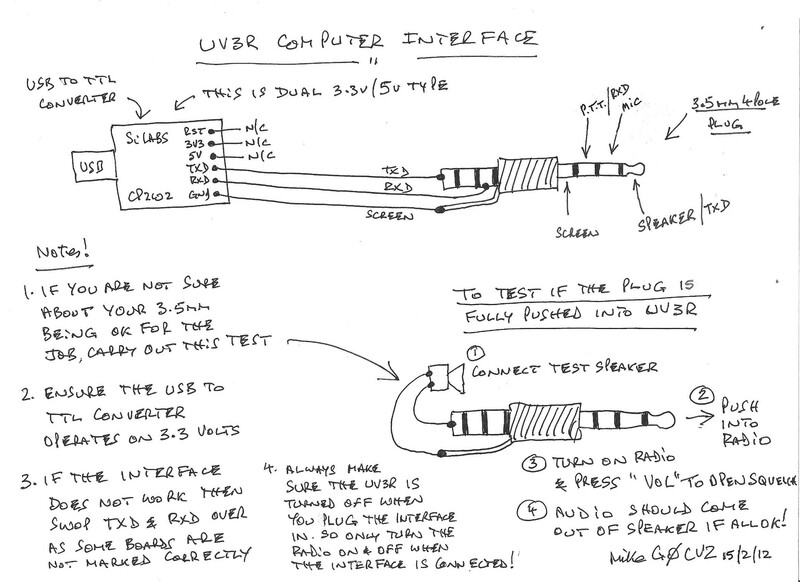 The team that developed the UV-3R have started a revolution in ham radio. We now wait for the VHF/UHF mobile range to arrive (now arrived) and then the HF range (on its way!) see here FT-808 on You Tube. There are now many radios with variations on the "UV" theme. These include the Ronson UV-8R, Quansheng TG-UV2, Waccom UV-5R (WUV-5R) and UV-6R, etc, etc, etc. There are numerous versions of the UV-5R. For the more common model differences download the "UV3R Model Differences" .xls spreadsheet below. 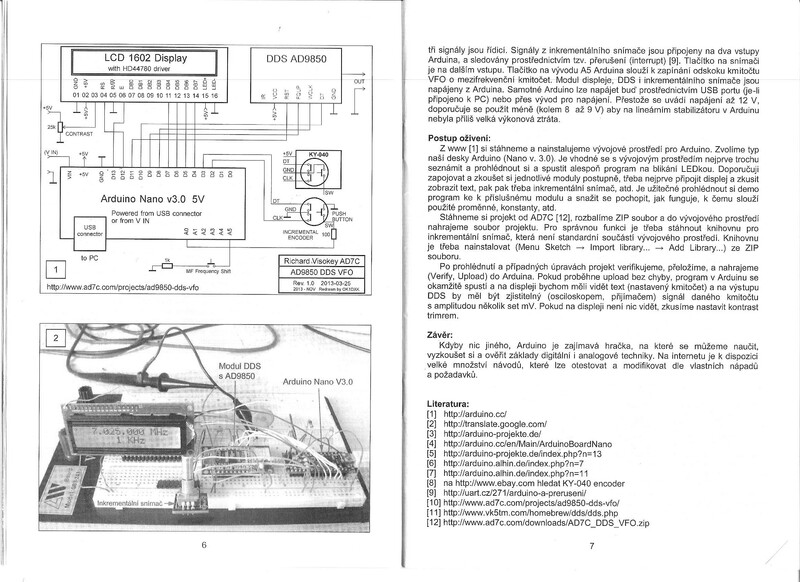 If you want to know more about the UV-3R and to contribute to the understanding of how it works then I suggest you join the Yahoo group at Yahoo UV-3R Group In particular they maintain a very useful FAQ document which makes things a lot easier to understand. All information, software, etc is provided in good faith and at your risk. The remarkable UV-3R MKII transceivers have 3 main i.c’s (RX/TX, micro and FM radio) to provide a very low cost 2W dual band easy to use radio covering 136-174 and 400-470Mhz. They use the Fuji type NP60 (or Kodak Klic-5000 or Casio NP30) mobile phone battery so you do not have to buy any special spare batteries (some of the newer models use special batteries i.e. 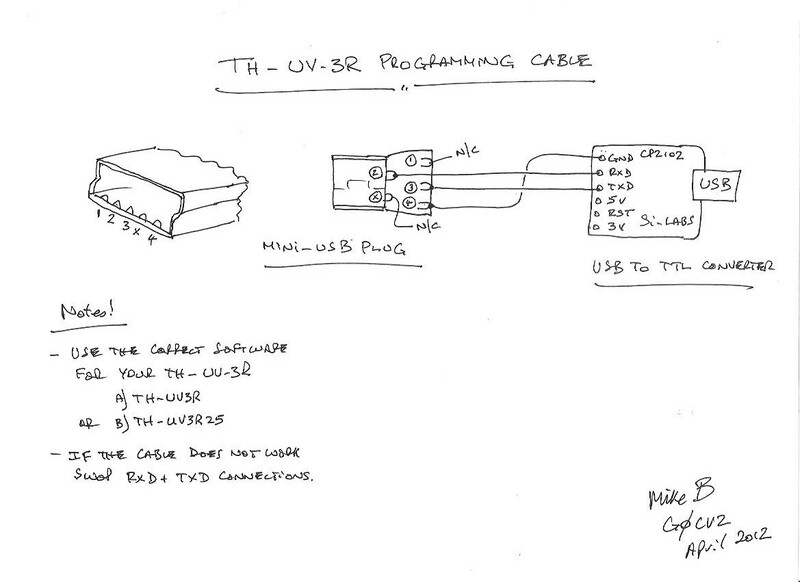 UV-3R+). The radio includes a dual band antenna for 2M and 70cms, charger and UK adapter, belt clip, manual, Li-on battery and charger cradle (although you should charge the battery in the radio and I don’t recommend you use the cradle). There are 99 memories configurable with TX/Rx Freqs, CTCSS, CDCSS, wide/narrow, hi/low power, etc which can be set through the keypad. 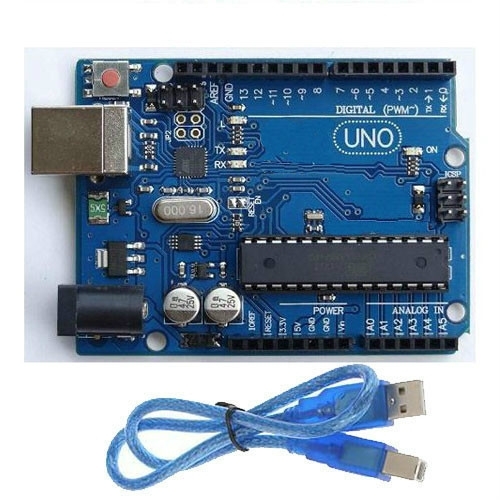 Computer configuration is optional and requires a cable (simple to make). If you want to listen to broadcast FM radio 87-108 MHz then that is built in as well. The manuals are not 100% correct due to software updates. The UV-3R is well built and reliable. Try here if you cannot find the software or drivers you need..... Lots of software here! 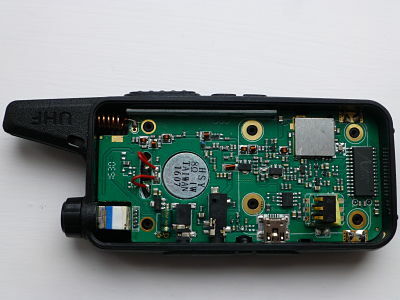 The Retevis RT22 is a UHF 16 channel CTCSS "2W" hand held. The stated frequency coverage is 400 to 480 MHz, but the programming software shows 400 to 520. The current on standby is 70mA, R/X is 100mA and on T/X about 440mA so its about 0.85 watts output ~ there are high and low output settings which don't seem to make any difference. The build quality is very good with well thought out construction. A Nokia BL-5C battery fits OK so there are no special batteries to worry about (a battery is supplied). The range seems good despite the short helical antenna. The channel change up and down buttons (when pressed together) lock the other buttons (except PTT and Vol), if you hold the top button for a few seconds the squelch opens and the lower enables scan. 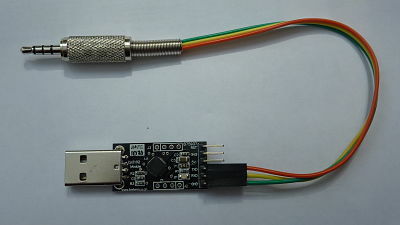 Programming is done via the mic/headphone socket and you can use the same cable is you would use for a UV5R or BF-777/888. 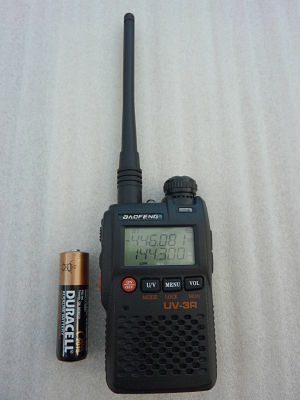 A neat little UHF radio suitable for carrying in the pocket and not breaking the bank. If you open one up you will need a T9 screwdriver head, and don't miss the screw under the label! Battery Life ~ We suggest that you always charge and then operate the radio until the battery runs out and then re-charge. Do not be tempted to charge and then re-charge again without discharging as you may damage the battery. There have been some issues with Prolific USB interface converters. Check out the 409 site to find the right drivers (the link is on the next page). 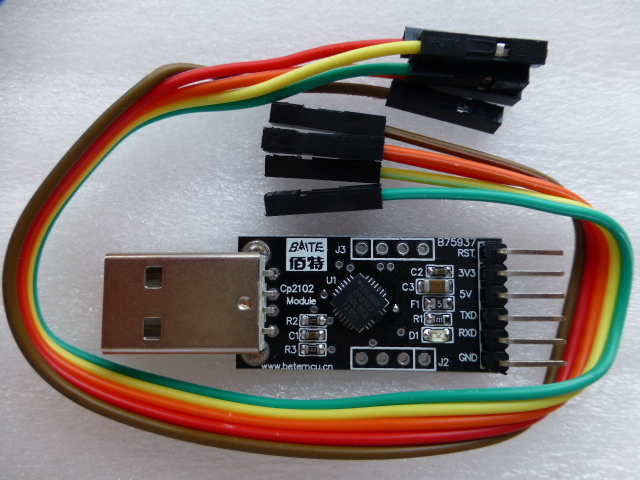 An easier option is to buy a Silicon Labs CP210x type USB to UART bridge as shown above (make sure it is 3.3V or dual 3.3V/5V version). They are easier to get working and are cheaper. Available either from us or Ebay. 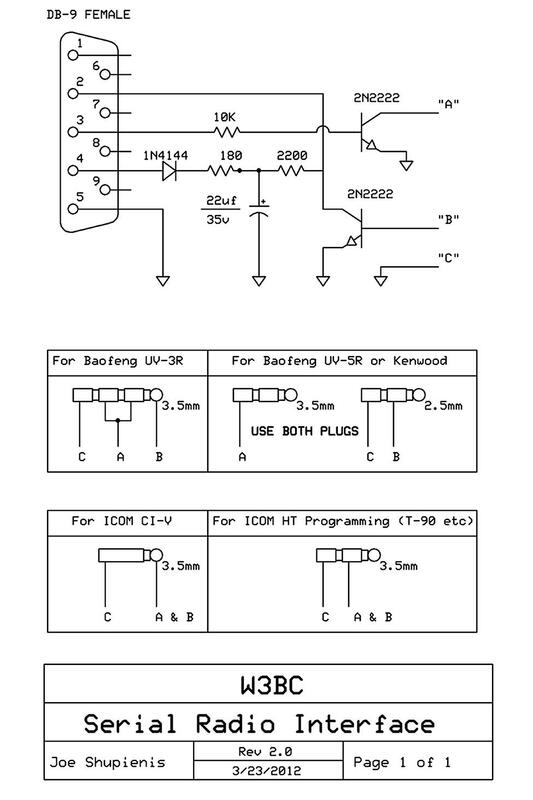 The DC power plug on the radio is 2.5 X 0.7mm, Note +ve is the outer and -ve the inner.